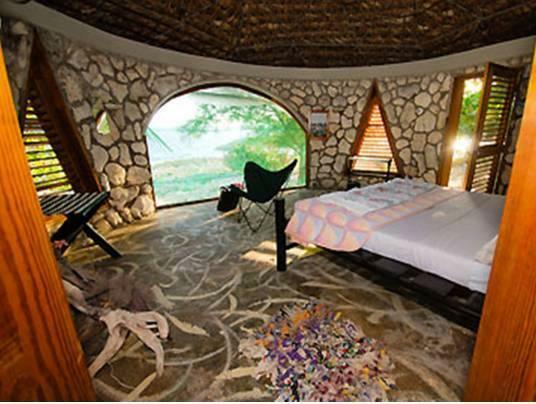 ﻿ Best Price on Jackies on the Reef in Negril + Reviews! Located on the beautiful coast of Jamaica near Negril, Jackies on the Reef offers guests an outdoor pool, mediation and free yoga classes. This property features a healthy on-site restaurant. The rustic but modern rooms at this retreat feature natural lighting, large windows, a small seating area and an outdoor bathroom with a shower and toilet. Guests can dine on site, or eat at one of the several restaurants located within 1640 feet of Jackies on the Reef. The hotel also offers a range of spa services, including massage, facials, aromatherapy and body scrubs. There is a beach within 1.9 mi of the property, and Times Square Mall is a 5-minute drive away. Sangers International Airport is 56 mi from the property. Please note all bookings will include a yoga class. Property offers Montego Bay Airport shuttle service for a surcharge.